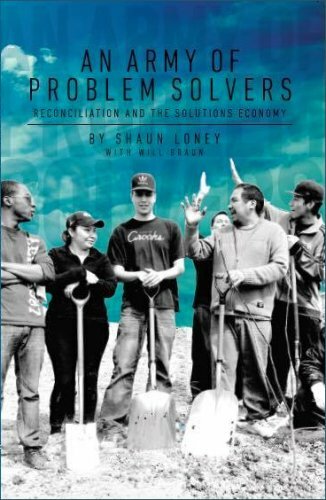 First Nations reconciliation has to include rebuilding local economies. Problem solvers such as social enterprises, social entrepreneurs and the small farm movement are demonstrating we can tackle society's most stubborn problems affordably. How do we reinvent government to make it all happen? Shaun Loney, a longtime member of the Canadian CED Network, is an Ashoka Fellow (first in Canadian Prairies) and Ernst and Young's Entrepreneur of the Year (2014). He has co-founded and mentored 11 social enterprises including BUILD Inc (2011 Scotia Bank EcoLiving Green Business of the year and 2013 Manitoba Apprenticeship Employer of the Year). Shaun was Director of Energy Policy for the Government of Manitoba (2002-2008 and political advisor to Gary Doer's NDP (1997-2002).